By the end of his life, Beethoven had composed nearly seventy sets of variations. Most of the early ones were based on themes by other composers and were not given opus numbers, which Beethoven reserved for what he felt to be his more substantial, important works. It was thought that Traeg's 1802 edition of Beethoven's Variations in D major on Righini's Arietta "Vieni Amore nel tuo regno," WoO 65, printed in Vienna, represented a heavily revised version of an early piece, as they are relatively advanced. However, the recent discovery of the 1791 edition, by Schott in Mainz (not by Götz in Mannheim), shows that very little of substance was changed. 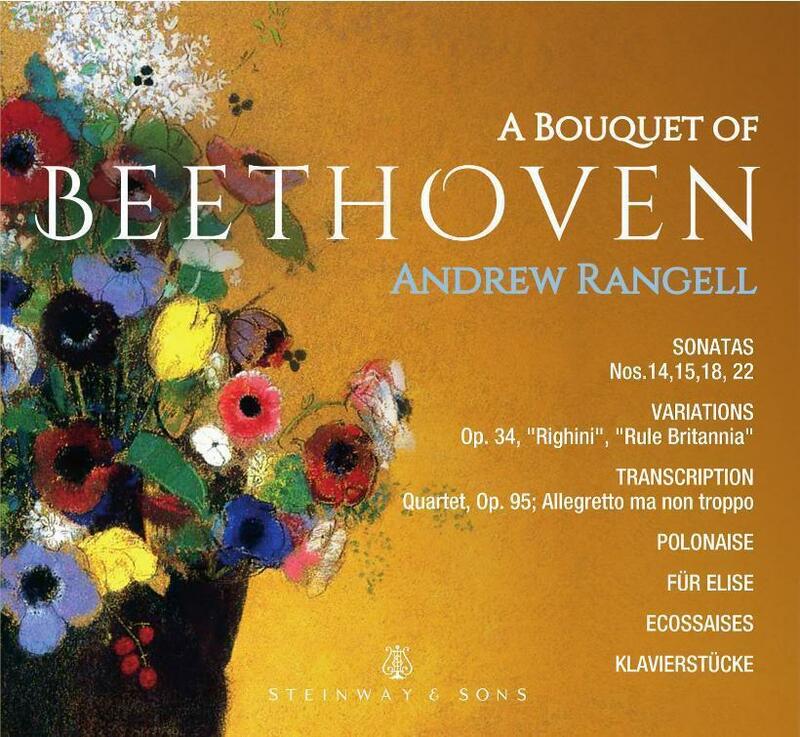 This was Beethoven's first publication since 1784, and its completion initiated a flurry of composition that lasted until the young composer's departure for Vienna in November 1792. The dedication of the set to Countess Maria Anna Hortensia von Hatzfeld adds yet another name to Beethoven's list of aristocratic ties in Bonn. Vincenzo Righini (1756-1812) was Kapellmeister to the electoral court in Mainz in the early 1790s. During a trip to Mainz, Beethoven had the pleasure of hearing Abbé Sterkel, one of the foremost pianists in Europe, perform at court. Sterkel, who knew Beethoven's recently published variations on Righini's Arietta, found their level of difficulty so high he doubted the ability of the composer to perform them. When challenged, Beethoven sat at the keyboard and performed from memory (Sterkel could not find his score) and even added a few new variations on the spot. Czerny wrote that during Beethoven's first years in Vienna, Beethoven often used the Righini variations to "introduce" himself. The variations of WoO 65 are in the decorative, high-classical style and maintain the harmonic movement of the theme. We find none of the probing of harmonic relationships as in the Variations in F major, Op. 34, and none of the multiplicity of material to be varied as in the Variations in E flat, Op. 35. What we do find is a virtuosity and control unparalleled in Beethoven's earlier works. Righini's theme is in two parts, the second of which is repeated. "Empty spaces," especially in the second part, leave plenty of room for elaboration. Beethoven begins to fill these spaces in his first variation, while accenting the leaps in the second. In both cases, he chooses to repeat the first half of the theme. The hand crossings necessary in the third variation, with left-hand scales that travel far above the treble clef, represent what was one of the more entertaining, and virtuosic, elements in the pianist's arsenal. Trills fill Righini's spaces in the next variation, as Beethoven moves the theme, and trills, from one hand to the other. A suggestion of Beethoven's mature works appears in Variation No. 6, in which double notes trace the overall descent of the theme while preserving the original harmonic characteristics. Beethoven's legato thinking takes precedence in the eighth variation, while sheer pianistic technique takes center stage in the chromatic thirds of the ninth. Beethoven alternates sparse and dense textures in Nos. 10-13, the rapidly moving right-hand octaves in No. 13 again highlighting the composer's keyboard technique. The fourteenth variation is unusual in that it splits each part of the theme in half, the first half in 2/4 meter at an Allegretto tempo, the second in 6/8 and Adagio. Allusions to the melody are all that survive in the sixteenth variation, notable for its syncopated bass line. The last two variations demonstrate a virtuosity and deep understanding of the theme that anticipate Beethoven's later works.